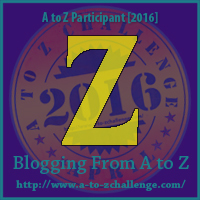 Z is for – nothing at all. For the entire month of April, I have been dreading the letter ‘Z’. There is nothing at all in Bendigo, that is not commercial, that starts with the letter Z. So I have made the decision to go for something that is iconic to Bendigo and has a ‘Z’ in the title. I’m very sorry to say that this is the best that I can do. So Z is for the Queen Eli-Z-abeth Oval, better known to Bendigonians as the QEO. 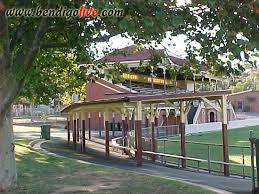 The QEO is a sports oval in Bendigo, and very close to the CBD. Some would say that it is in the CBD. It is mainly used for Australian Rules Football and Cricket. Historically, cricket matches were hosted at this ground from 1897. Originally it was called Upper Reserve, until 1953. Today the sports ground is of international standard. Bendigo league teams regularly play at the CEO. An international soccer match between Australia and New Zealand was played in 1988. The venue has also hosted the Commonwealth Youth Games. 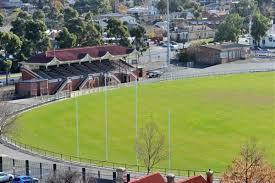 Pre-season AFL games are also played at the QEO in Bendigo. In 2011, the ground was upgraded, with a new terraced seating area added, which was capable of holding 900 people. All weather grass was installed and the lighting was upgraded to AFL standard, allowing night games to be held there. A new electronic scoreboard and large screeen were also installed. Today, the QEO is well known for being of a very high standard, and many more first class games are now held there. An added bonus for visitors to the area, is that the QEO is just a few blocks from the CBD of Bendigo, within short walking distance of many hotels and most retail shops. No need to feel sorry! You did what you could and, by golly, you got all the way to the end. Time to celebrate! Enjoyed your post! I’ve used Letters in the Middle before and it’s sometimes all you can do 🙂 Great to read about Bendigo this Challenge!